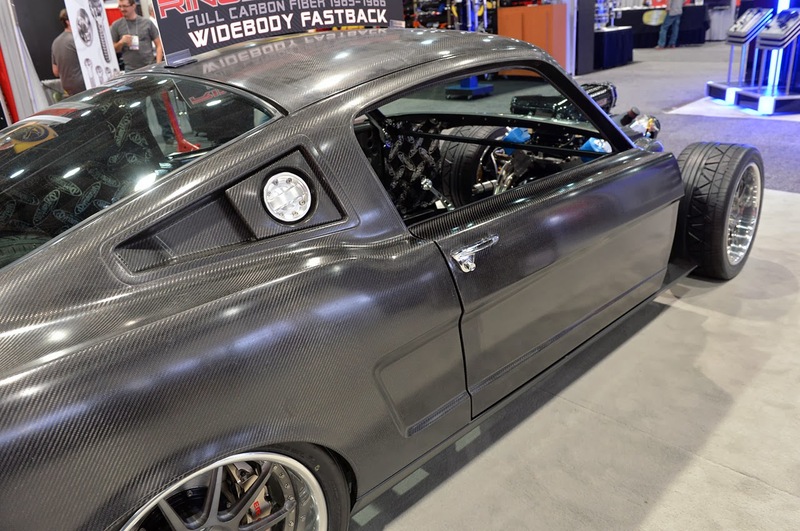 The performance-parts manufacturer Ring Brothers brought at the SEMA show 2013 their carbon fiber body for 1965-66 Ford Mustang Fastback, 2-inches wider than stock, in addition to their debuting 1965 Ford Mustang "Blizzard". 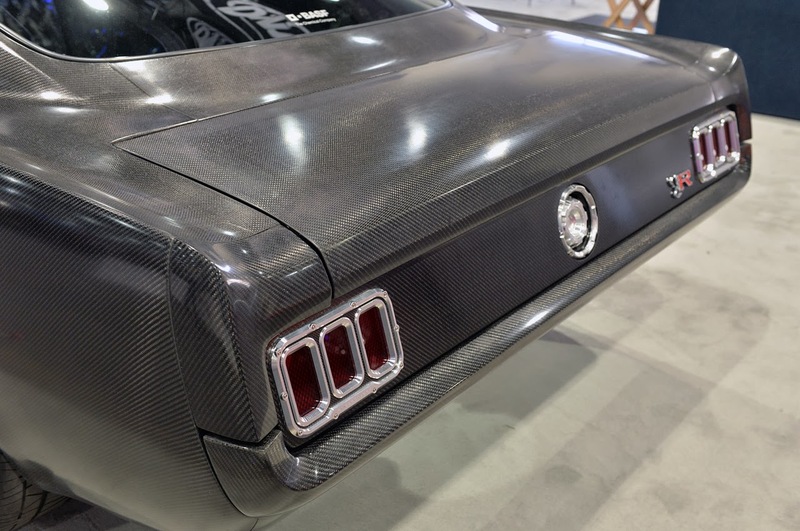 Usually their builds have a paint finish, and they wanted to show the huge work behind it. 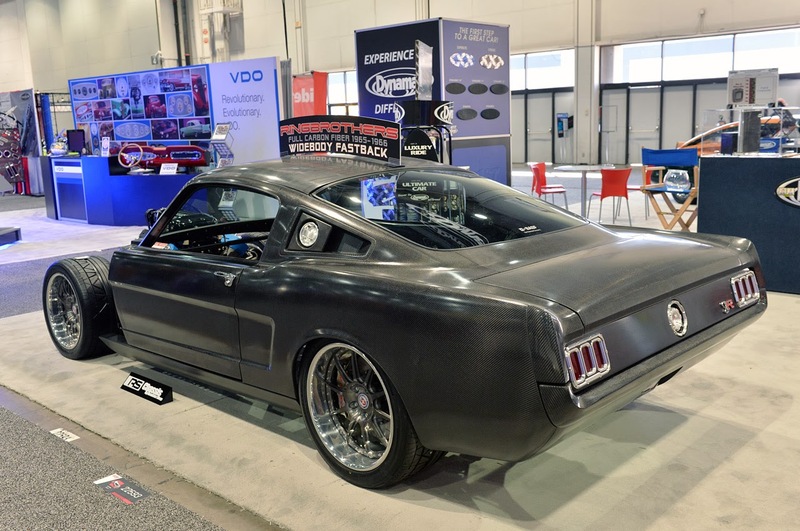 The beast is completed with huge HRE wheels and a Supercharged V8. 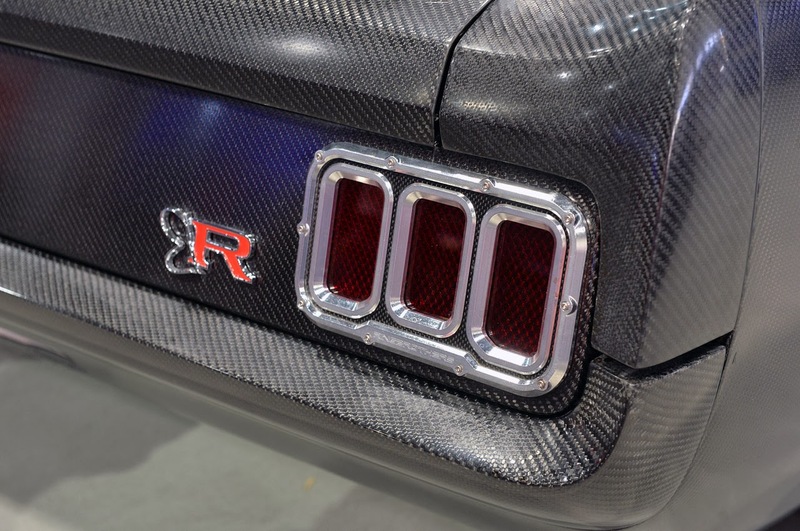 Ring Brothers sell each piece individually or a custom chassis with the complete package.